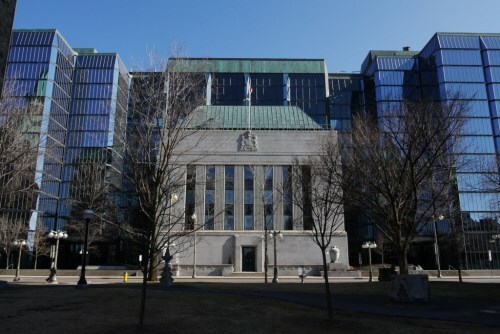 The Bank of Canada will make its latest interest rate decision Wednesday but is not expected to make any changes. Markets are awaiting the Fed’s interest rate decision next week which is almost certain to see an increase. Meanwhile, oil and gold prices have edged higher overnight. Oil markets remain cautious though that the output cap due next month will have little impact on the global supply glut, especially if the US and other non-OPEC producers increase output. Asian equities closed broadly higher with Tokyo boosted by news that Japan’s SoftBank is investing $50 billion in the US. Australia’s ASX shook off weaker-than-expected GDP data to close higher. European markets are also up on expectation that the ECB will expand its bond-buying stimulus program when it makes its policy and interest rate announcement Thursday. Wall Street and Toronto are expected to open higher. Along with BoC interest rates, US oil inventories data will be watched. Three banks have been fined a total of U$521 million following an investigation by European regulators over the rigging of the Euribor inter-bank borrowing rates. JPMorgan Chase & Co., HSBC Holdings Plc and Credit Agricole SA manipulated the rates and shared sensitive information and were included in a wider investigation which began 5 years ago. However, the three would not join a settlement with four other banks in 2013, delaying the outcome until now. “Banks have to respect EU competition rules just like any other company operating in the single market,” Margrethe Vestager, the EU’s antitrust commissioner told Bloomberg.